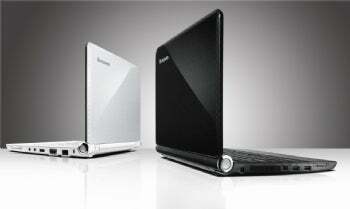 It's official, ladies and gentlemen: We have an Ion platform-based netbook--Lenovo's IdeaPad S12. Or, at least, we will have it as of mid-August. 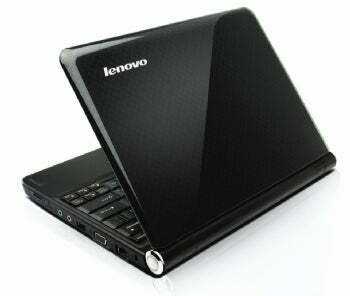 Lenovo premiered its new 12.1-inch tweener netbook today, and it closely resembles the S10-2. But what lies under the hood probably matters more to you, so let's tackle that right up front. The S12 will come with 1GB of RAM, a 160GB hard drive, and a six-cell battery that spokespeople say will last 6 hours. It also offers an HDMI video-out. 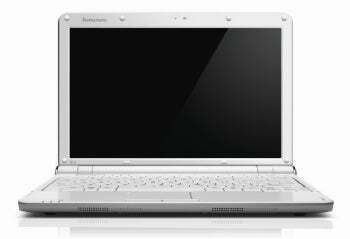 Other than that, the S12 comes equipped as you'd find most other netbooks, with three USB ports, a four-in-one card reader, a 1.3-megapixel Webcam, VGA-out, Wi-Fi, and Bluetooth on-board. The machine also offers a multitouch touchpad, a full-size keyboard, and a QuickStart feature that launches users directly into a Linux shell for a few basic needs (Web browsing and Skype, for example)--and it crams everything into a 3.7-pound, 1.14-inch-thick shell. Not too shabby. Though folks have been focusing on the Ion hoopla, don't lose sight of the fact that Lenovo also plans to offer a Via Nano version (with a 1.3GHz Nano 2250 and Chrome 9 HC3 graphics) outside the United States, as well as a straight-up "regular" Atom flavor (N270 and GMA 945 graphics) stateside. The only differences between these units are the price and the release dates. The Ion-based S12 will sell for $499 in three months; the Nano and Atom machines will be available soon and sell for $50 less ($449). So for anyone who just can't wait, there's hope. Now, compare the Lenovo machine with the AMD Athlon Neo-based HP Pavilion dv2 I've been so fond of lately. Personally, I can't wait to see how the $749 not-quite-a-netbook compares to this $500 machine. The only benchmarks I have to go on for now are the Ion hands-on tests we performed with a proof-of-concept box a few months back. For some real-world results, we'll have to wait a little longer. And speaking of waiting, let's not forget Intel's recent revelations about Pinetrail, the next-gen Atom CPU. Last week, Intel told of its plan to shrink the Atom down further from three to two chips, making the CPU and memory controller merge. That two-chip architecture promises higher processor performance, increased graphics capabilities, and lower thermals (more efficiency all around). I guess we shouldn't exactly count Intel out of this game just yet. It goes without saying that the end of 2009 could get pretty interesting.